It is with great sadness that the family of Dr. David Mack Haynie (Diesel) announces his passing on Friday, March 22, 2019, after an extended illness. He was 77. A native of Belton, South Carolina, David was the son of David Alvin and Lutile Mayfield Haynie. He graduated from Belton High School. Then went on to study at Anderson College and Erskine College, where he earned a degree in organic chemistry. After college, David married Wanda Turner, also of Belton, and they moved to Fort Worth, TX , where he enrolled at Southwestern Baptist Theological Seminary to study for the ministry. While there he earned a Master’s Degree in Divinity and a Doctorate in Systematic Theology. He supported his growing family during those years by working at the Texas Refinery and LTV Aerospace as a quality control engineer. 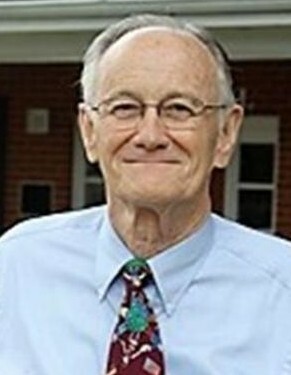 From 1972 until 1984, Dr. Haynie served as pastor of the First Baptist Church of Wagener, SC; associate pastor at Eastland Baptist Church in Greenville, SC; Minister of Education and Youth at Cedar Spring Baptist Church in Spartanburg, SC; and pastor of Pelham Road Baptist Church in Greenville, SC. In 1984, Dr. Haynie accepted a teaching position at Florida Baptist Theological College in Graceville, FL. He served as Professor of Theology/Pastoral Ministry until 1993. At that time, he accepted a department head/professorship position in the Christian Studies Division at North Greenville University in Tigerville, SC. Dr. Haynie retired from that position in 2015. David is survived by his wife of 53 years, Wanda Turner Haynie; his son David William of Nashville, TN; his daughter Erika Leigh (Daniel) of Inman, SC; and his two beloved and beautiful grandchildren, Astrid Sinclaire (15) and Aria Seraphina (6). A celebration of David’s life will be held on Sunday, March 31, at 3:00 pm in the chapel at Cox Funeral Home in Belton, SC. His beloved friends, Rev. Gary Romines and Dr. Walter Johnson, will officiate. Visitation will be at the funeral home from 1:30 until 2:45 prior to the service. Burial will be in the Belton Cemetery. In lieu of flowers, a memorial donation can be made to the Christian Ministries Scholarship Fund at North Greenville University, PO Box 1892, Tigerville, SC, 29688.